You don’t have to be crazy to consider Winter Sailing. In our last article post we looked at 10 Reasons why Winter Sailing is awesome. East Cowes Marina on the River Medina, Isle of Wight, offers good shelter from passing ferries, and offers stylish washrooms you’d expect in a luxury hotel with underfloor heating and hairdryers provided! The Lifeboat is a large pub close to the marina serving a varied menu food all day, a popular Under 12s menu, free wifi and a homely décor. It’s a short hop via the ferry or a water taxi to the charming town of Cowes with a range of boutique shops and restaurants, or stop in to the Pier View, the sailors’ local. Just inside Portsmouth Harbour, Dean & Reddyhoff’s Haslar Marina is large and friendly and has lots of space for that all-important boat handling practice. There are a number of nearby shore-based attractions which are worth a visit including Gunwharf Quays or the Historic Dockyards. 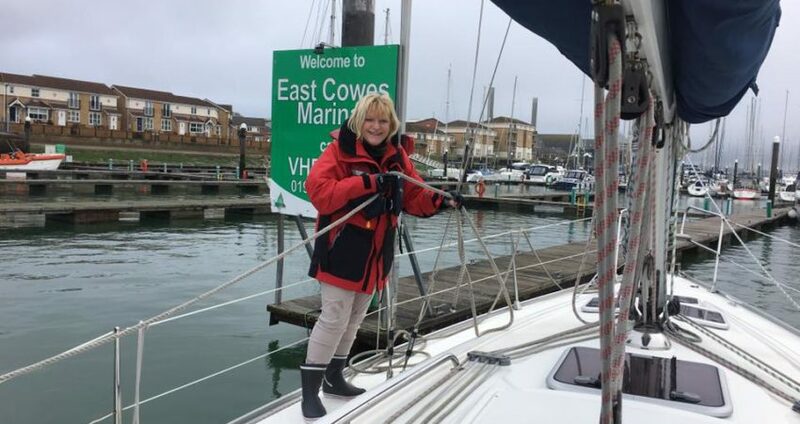 Head to the “Mary Mouse” (or the Lightship as it is also known) which is owned and run by a fellow sailor, who has just completed the Ostar transatlantic race, for quirky but modern showers and the Trinity Restaurant. The village of Yarmouth on the NW coast of the Isle of Wight is a lovely place to be at any time of year. But in Winter there is a great selection of cosy pubs including the magnificent George Hotel and the Kings Head which usually has a roaring fire. In Winter, the showers at Yarmouth Harbour are free – an added bonus! Berthon is a lovely, deepwater marina and the showers even feature a warming box for your clothes! It is a short walk to the Georgian market town of Lymington, right on the edge of the New Forest, to explore a wide choice of pubs, restaurants and hotels and pick up an original piece of contemporary sailing art from Stephen Lees. If that has persuaded you to consider a winter sailing weekend, check out our latest short notice offers and Winter rates (yes – they are significantly discounted).